Over All Length : 9"
Ergonomic design with the squeeze to unlock feature. Bye pass secaeture for gardening. - Drop forged body and handles. - Quality blade made of high carbon steel with Ultra-fine Polishing Technology. - Sap groove design to help keep pruning shears from sticking by channeling off sap. 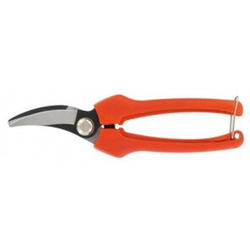 - Pruners can cut up to 3/4" diameter size tree branches.This may vary depending on tree species. 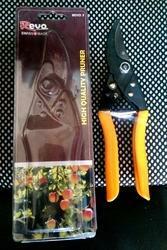 Our reputed entity is engaged in supplying Heavy Duty Bypass Pruner.